Russian human rights commissioner to take part in UN session | Russian Legal Information Agency (RAPSI). 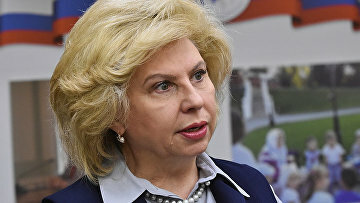 MOSCOW, April 15 (RAPSI) – Russia’s High Commissioner for Human Rights Tatyana Moskalkova will participate in the tenth session of the United Nations General Assembly’s Open-ended Working Group (OEWG) on Aging. Moskalkova will be on the visit in New York from April 15 to 18, her press service reports. The human rights commissioner will share experience and best practices regarding protection of rights of the elderly in Russia, the statement reads. She is also expected to meet the Chair of the United Nations General Assembly’s Open-ended Working Group (OEWG) on Aging Martin Garcia Moritan and representatives of Russia’s Diplomatic Corps in the U.S.